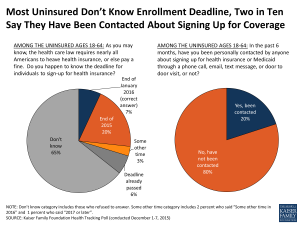 65% of uninsured do not know the enrollment deadline! Only 2/10 say they have been contacted to sign up for coverage. Call us today & we can help you get the right plan and coverage you need!